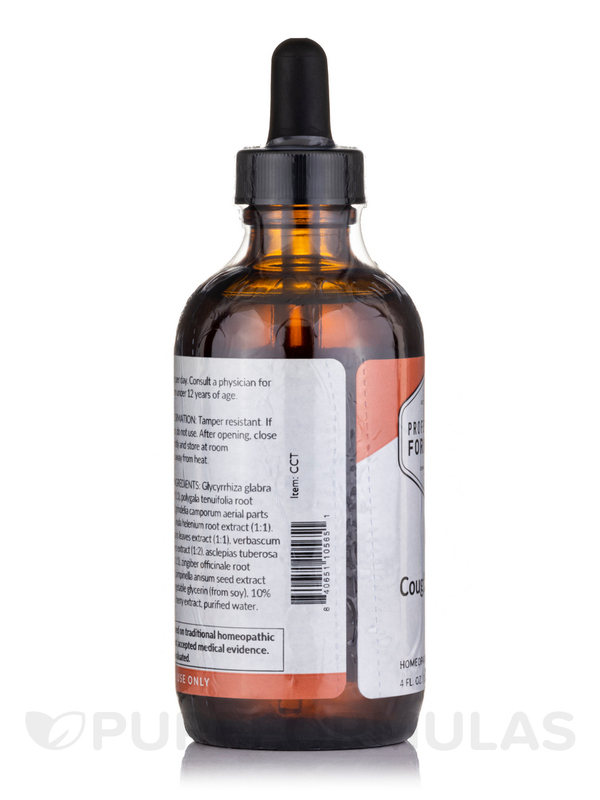 As an alternative to the traditional cough suppressants‚ this tonic may help relieve cough and sore throats. 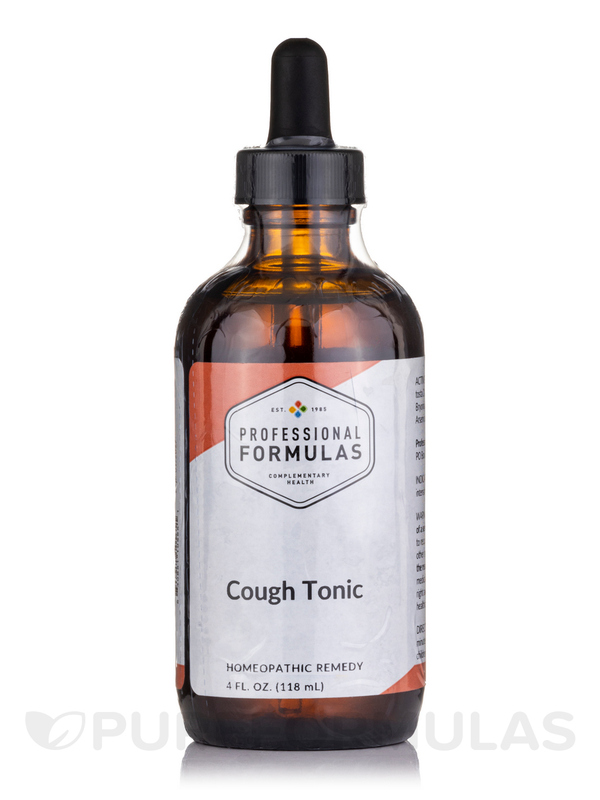 Cough Tonic 4 oz. 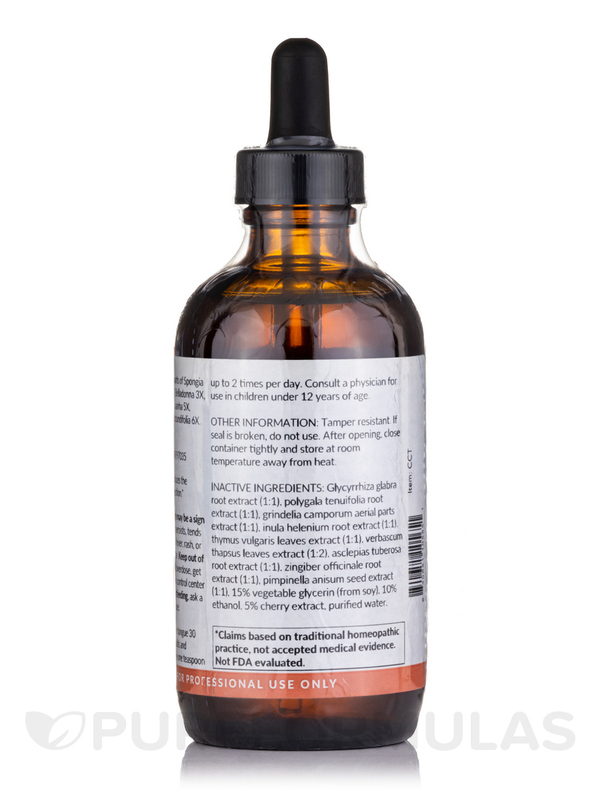 (120 ml) may act as both a cough suppressant and an expectorant‚ helping to both loosen the mucus and soothe the cough. 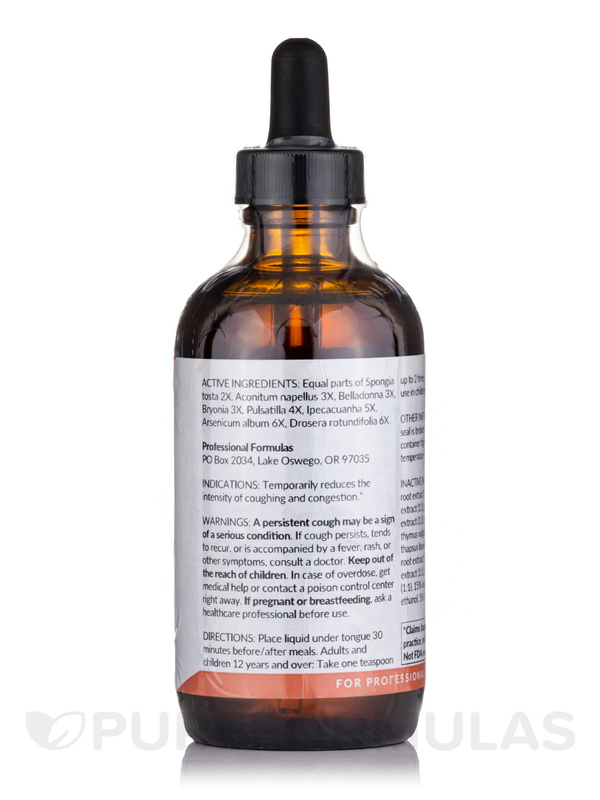 In addition to suppressing an individual’s cough‚ this supplement is also found to be potentially effective in relieving an irritated throat. 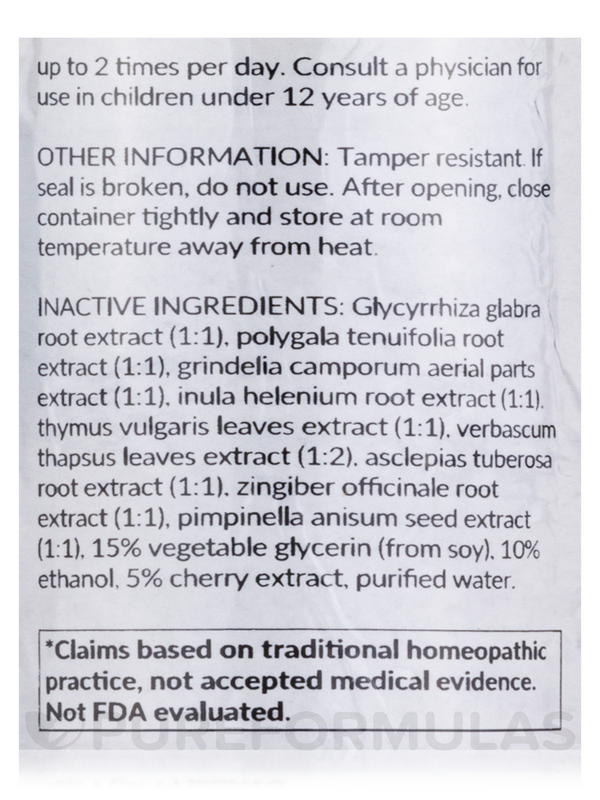 Spongia tosta 2X‚ Bryonia 2X‚ Aconitum napellus 3X‚ Belladonna 3X‚ Drosera rotundifolia 3X‚ Pulsatilla 3X‚ Ipecacuanha 5X‚ Arsenicum album 6X‚ 15% glycerin‚ 5% alcohol‚ 5% cherry extract‚ purified water. In a base of glycyrrhiza glabra (root 1:1)‚ polygala tenuifolia (root 1:1)‚ grindelia camporum (herb 1:1)‚ inula helenium (root 1:1)‚ thymus vulgaris (leaves 1:1)‚ verbascum thapsus (leaves 1:2)‚ asclepias tuberosa (root 1:1)‚ zingiber officinale (root 1:1) and pimpinella anisum (seed 1:1). Adults: 1 teaspoon under the tongue 30 minutes away from meals‚ twice daily or as directed by a healthcare professional. Cough Tonic quells a cough instantly and tastes good too. Its great to keep handy for those sneaky bugs that attempt to start a cold! 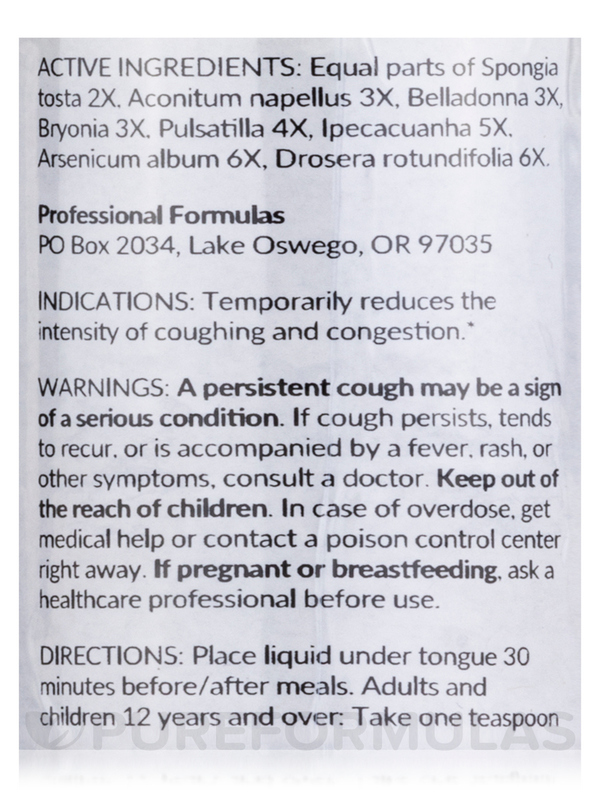 I have used Cough Tonic since 2007 and originally purchased it from a homeopath. I ordered on a Wednesday and received it on Friday--service is great! I will definately use this site again!